Making TVs smart is a three-part series that looks at why smart TVs have failed to take off — and what needs to happen for these devices to realize their vast potential. You can read part one here and part three here. There’s nothing like first-hand experience. Two years ago, I decided to take matters into my own hand and build a smart TV app for GigaOM. I spent some sleepless nights scripting, mocked up a rudimentary user interface, and soon had a working prototype of a GigaOM TV app for the Boxee Box. But before I was able to put the finishing touches on the app, Boxee switched its scripting language from its own flavor of XML to HTML5, making my app look outdated. Then it switched from the Boxee Box to its second-generation Boxee TV device, which wasn’t capable of running my app at all. And then, just a few weeks ago, the company got bought by Samsung, and announced that it wouldn’t support its devices any more. We almost had a GigaOM app on the Boxee Box — but then the platform suddenly changed, rendering our app useless. It’s something app developers experience regularly. That’s a problem for developers, who were supposed to turn your TV into the next big app platform, bringing you new content not available on cable and new ways to watch and interact with that content. Developers were what turned the iPhone and Android into success stories, and they were supposed to do the same thing with smart TVs. But all those competing platforms make it hard to develop the next big killer app. To make matters worse, making your apps work on those 55-inch TV screens in people’s living rooms isn’t as easy as one might think. 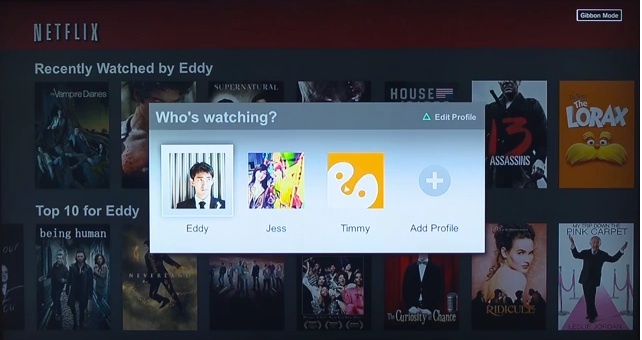 When developers want to bring their services to Smart TVs, the first question on their mind is: where to start? Samsung, LG, Google, Yahoo, Roku, Panasonic, Opera and a number of other companies all have their own platforms, and compatibility between these platforms so far is limited. TV manufacturers are starting to simplify this process through the adoption of HTML5 across the industry, but bringing an app to one platform and then porting it to another requires significant resources. “You will see standardized frameworks emerge,” said Scott Mirer, Netflix’s Partner Devices Director. Now, though, these standards aren’t mature enough. Netflix deals with this problem by tweaking its app for each and every platform. The company has hired a lot of developers to optimize its experience for the living room, with three separate development teams working on the smart TV user interface alone. Other developers are focused on bringing Netflix’s app to more than 800 different mobile and connected devices, and these developers look at each smart TV and decide: Can the hardware process the whole experience, or do we need to slim it and leave out some features? The goal is to deliver the same look and feel across all devices, Matt Marenghi, Netflix’s User Experience VP, told me: “A lot of our users use multiple devices,” he explained, so it would be confusing to optimize the experience too much for different devices. Of course, not everyone has the resources Netflix has. That’s why other developers have to prioritize – and those decisions don’t always just come down to the number of devices sold. The reason people buy into a platform is at least as important, which is why many developers like Roku, which has sold just north of five million devices since its launch in 2008 — a tiny fraction of the 37 million TVs sold in the U.S. every year. “Roku users are expecting to be on the internet, and they are expecting to install applications and to have an app store,” Gonze told me. Roku users spend between $50 and $100 to connect their TVs. That makes them a very different audience than your average TV buyer, who may never even use the built-in app platform. That’s not necessarily true for someone who picks up a smart TV at Costco just because it was on sale. Those users may never even connect their TVs to the internet, or only use it to watch Netflix and never take the time to browse the app store and discover additional apps. “It’s much harder to make a profit on a TV-based app than off an add-on box,” said Gonze. Makers of TV sets had hoped that app stores would give them a whole new revenue stream, comparable to the income Google and Apple see with their mobile platforms. So far, that revenue hasn’t materialized — and with no money on the table, independent developers have also stayed away. Instead, most apps are written either in-house by the big content publishers, or outsourced to a handful of development shops specializing on apps for certain platforms. Beyond navigating the platform jungle to get their apps on the TV, developers also need to rethink some of the key assumptions about app design because of the unique nature of the platform. TV has been described as a leanback platform, for a reason: “You are 10 feet away, possibly horizontal,” Marenghi said. Smart TV remote controls largely rely on the D-Pad. That puts pressure on developers to simplify. Another example has to do with the way that users navigate their TVs: PC users can interact with the entire screen, thanks to mice and touch-pads. Multi-touch displays on mobile devices have taken this type of screen interaction to the next level by introducing gestures. TVs, on the other hand, rely largely on simple remote controls with so-called D-Pads — navigational buttons that allow users to move up, down, left and right. Big online video services spend a lot of effort trying to avoid these kinds of mistakes. Netflix famously A/B-tests every significant feature before rolling it out to its general user base. .
Here’s how these tests work: Netflix may identify 25,000 new subscribers along with 25,000 existing subscribers who all use Sony’s PS3 to access the service. These users then get to see a new feature not available to anyone else yet. “We have the ability to update the user interface from the server,” explained Marenghi, thanks to the reliance on HTML5 delivered from the cloud instead of hard-coded design elements for the app. One of the latest features A/B-tested by Netflix: Personalized profiles, which were rolled out this week after more than six months of testing. The behavior of these 50,000 test subjects is then compared to two equally sized control groups so see whether key metrics like time spent with the app, viewing time or number of titles rated increases or decreases. “We can bring the winning experiences to all of our members once we determine we have a winner,” Marenghi explained. The results of these tests can be surprising at times, Mirer explained. One example: Netflix has long had a five-star system to let users rate and recommend titles. The site displays half-star ratings when appropriate, but only gives users the option to use full-star ratings. Thousands of users have told the company in the past that they’d like to also award half-star ratings, and, for example, rate a movie with 4.5 stars. Netflix considered the idea worthy of a test — but quickly shelved it when the results came in. “Ratings dropped significantly,” Mirer recalled with a smirk. Confronted with too much choice, people simply elected not to rate titles at all. Another service that’s investing a lot in research into smart TV viewing habits is Google’s YouTube. The video service is working on a relaunch of its smart TV app, and has been doing a lot of research to learn about the behavior of its users. One example: It has outfitted a number of its users with paper notebooks in recent months to keep track of what they’re doing during the day and with which devices they’re interacting to consume which kind of content. Surprise: YouTube conducts some of its user research with paper and color pencils. One of YouTube’s takeaways: The TV is a shared device, with many people looking at it at the same time. That has huge implications for app design, especially when it comes to sharing potentially sensitive data like the viewing history, including those embarrassing YouTube videos you watched when no one else was around. “Be careful what you put up on TV,” Tom Broxton, YouTube’s UX Lead for Monetization, warned at Google’s I/O developer conference in June when he presented the research. In other words: The best smart TV developers may just be the ones that help us put our brains on autopilot. Apple TV remote control image courtesy of Flickr user Robert S. Donovan. Google just sold over 700,000 Chromecast HDMI media players in four hours and this kind of traction moves Google+ ahead… driving deals and Android App development. Google also owns YouTube…with more video content watched in 60 days than in 60 years of both broadcast and cable television on all the networks.. 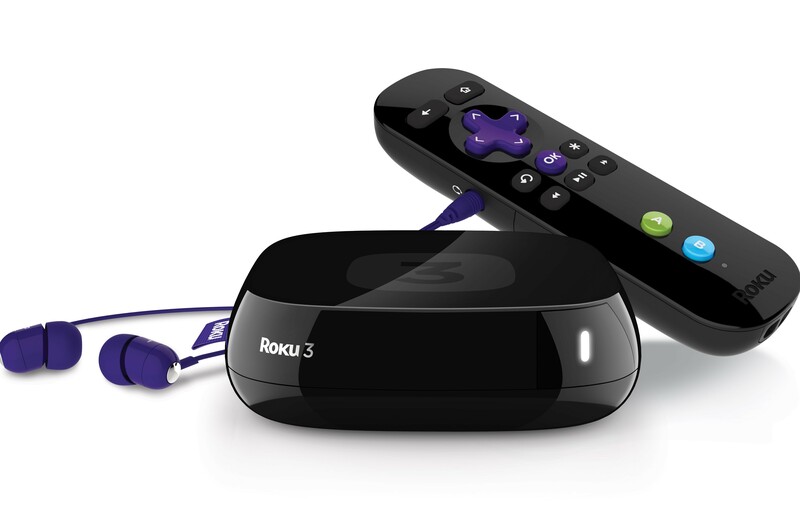 Although Roku positioned itself well initially …the also educated Google. Look at what happened to Tivo for instance. … the handwriting is already on the wall…as Google leverages and integrated with it’s entire eco-system… and positions itself well with smart little devices like Chromecast Google will dominate the smart TV space. In fact, there is a smart TV standard which is spreading quite fast in Europe which is called “HbbTV”. All TV manufacturers (Samsung, LG, Panasonic, Sony, etc…) implement this standard directly into their TV set since 2 years so it is massively used by people. It is already deployed in Germany, France, Spain, Switzerland, Poland, Austria, Czech Republic, Denmark, the Netherlands, and Turkey.